The World War II Memorial, the newest monument on the National Mall in Washington DC, is a beautiful place to visit and pay your respects to World War II veterans. Read more about the World War II Memorial. Read more about the World War II Memorial. The World War II Memorial is in front of the Lincoln Memorial. Read more about the World War II Memorial. 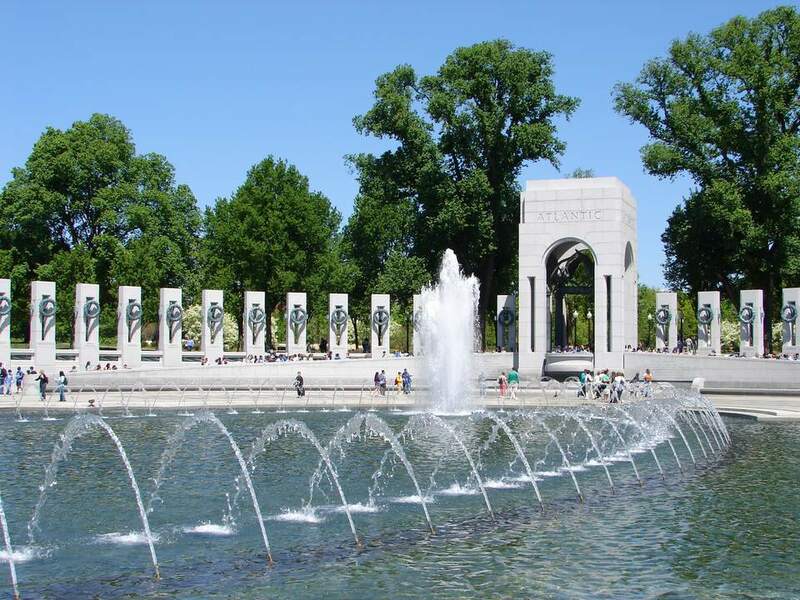 The World War II Memorial has two 43-foot arches, representing the war's Atlantic and Pacific theaters. This is the Pacific side. Read more about the World War II Memorial. The World War II Memorial has two 43-foot arches, representing the war's Atlantic and Pacific theaters. This is the Atlantic side. Read more about the World War II Memorial. The Freedom Wall’s 4,000 gold stars honor the more than 400,000 Americans who gave their lives in World War II. Read more about the World War II Memorial. The words of Harry S. Truman are a reminder of the tragic years of World War II. As a part of the World War II Memorial in Washington DC, these words are in honor of D-Day, June 6, 1944.